Well maintained, popular Cougar Catamaran. 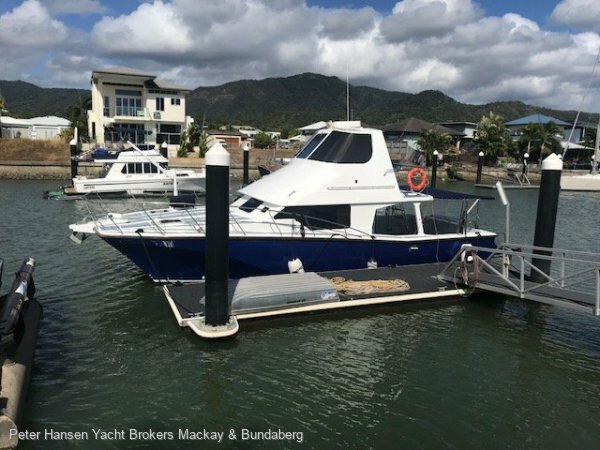 Featuring twin Caterpillar 435hp engines with low hours, genset, GPS, sounder, VHF radio, sleeps8,2 x double cabins, air-conditioned, BBQ, aluminium tender with 4hp outboard + more. This is a must see vessel.